Lately I feel like the common theme form me has been “I’ve been a terrible blogger!” Truth be told I’ve got a handful of weeks left at school and my focus and attention has been wrapped around the idea of pushing through and finishing up so that I can coast and enjoy for a few weeks without having to worry about the additional to-do item on my list. 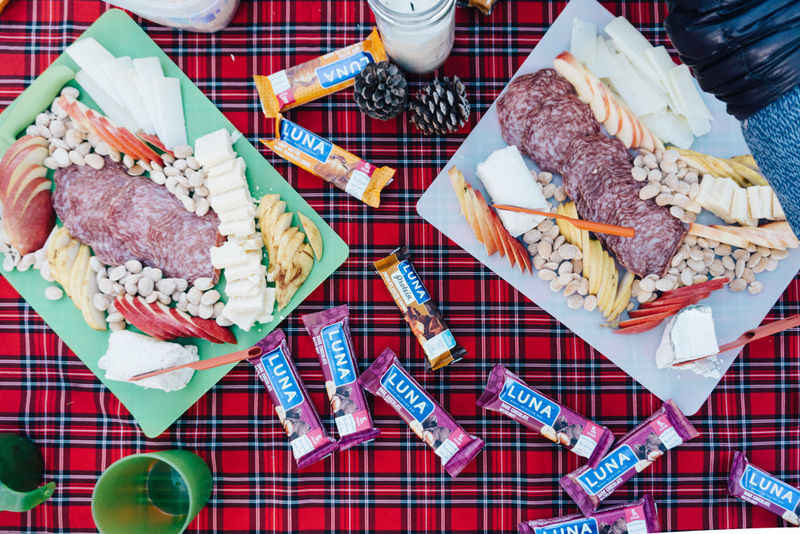 A few weeks ago I had the privilege of getting away from the city, unplugging, and escaping to the woods on my first backpacking adventure with LUNA Bar and Trail Mavens. 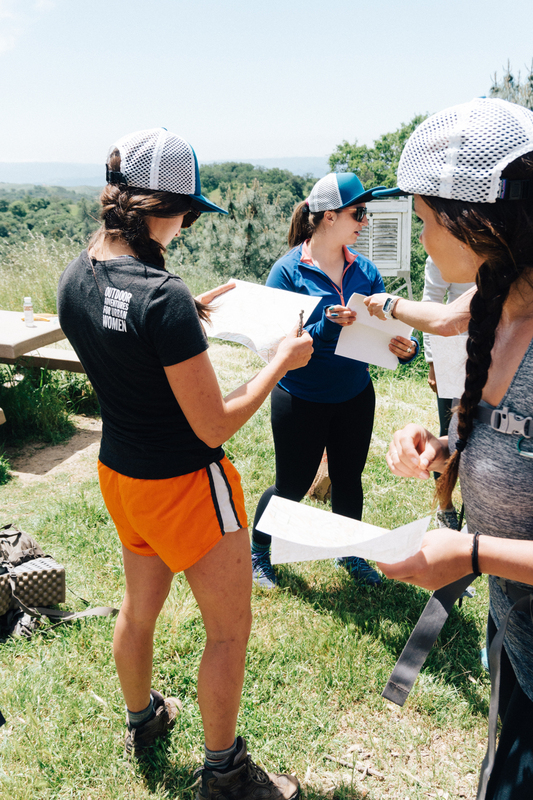 Trail Mavens is this incredible company who’s mission is to empower women to break out of their urban comfort zone and learn some valuable outdoor skills such as tent-pitching, fire starting, and map reading by creating opportunities for adventure in the outdoors. The funny thing is I’ve never been a woman who embraced outdoor living. As a matter of fact I’m a city girl through and through but ever since last year’s Nine Retreat adventure I’ve realized that something about the woods calls to me and reenergizes me in a way that tall buildings and the hustle and bustle of SF, NYC, and LA cannot. Its like this little break from the chaos that I need to recenter my soul and create space for a different sense of energy that revives my mind on the go. We started our day by meeting at the Clif Bar HQ. We learned how to properly pack our backpacks for the day and did some introductions, ice breakers, and set the intentions for the trip. After that we were off to Henry Coe in Morgan Hill which is this huge county park with plenty of hiking trails and camping sites. The beauty about this is that Henry Coe is just a short drive from the Silicon Valley, so in the event that one is dying to get back to chaos it's not too far away. 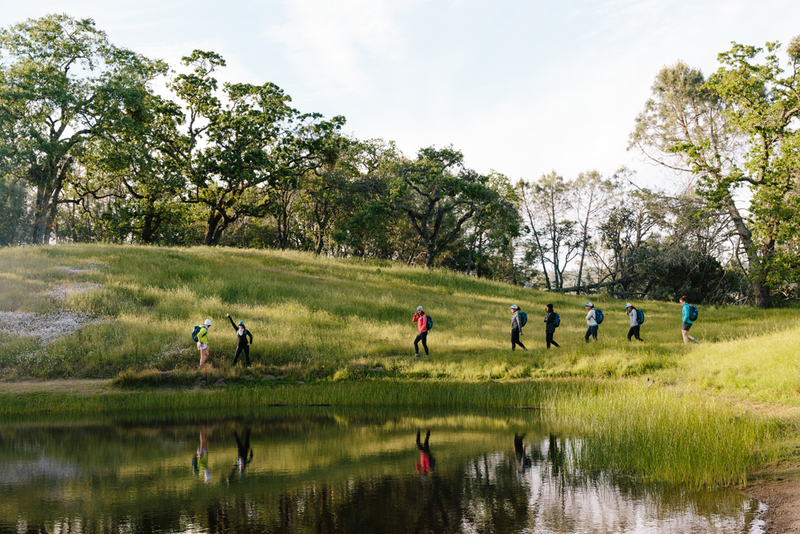 As soon as we arrived to Henry Coe, we settled in and quickly learned how to properly put on your backpack and make the necessary adjustments to make sure you were comfortable with a 30+ lb backpack during a hike. Shortly after we were off on our 3.5 mile hike to the campsite where we would spend the night. As soon as we arrived we had a few snacks before we set up our tents for the evening. OK first off, I will admit that if my husband was with me during a camping trip or any excursion I probably would be asking him to set up my tent. One because my nails, two because…I have no other reasons. 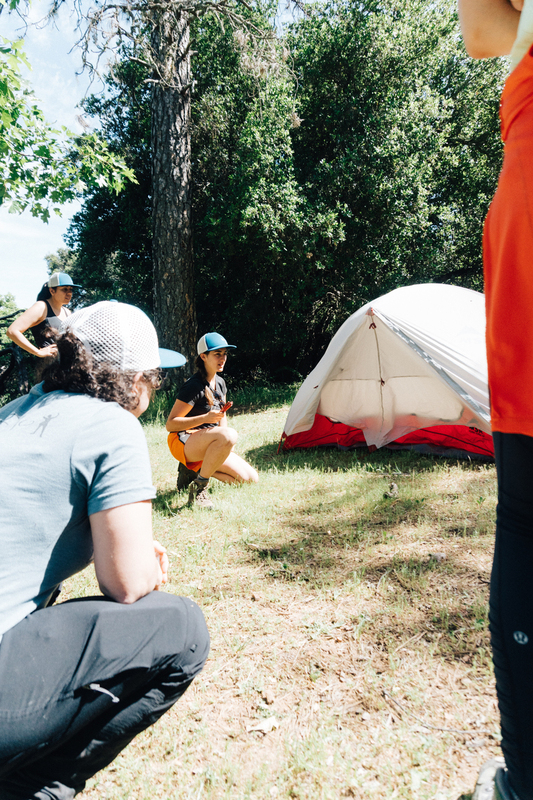 The ladies from Trail Mavens showed us exactly how to set up our tents and shortly after we were off to set up our tent. It was actually easier than I expected. The tents we set up were MSR Hubba Hubba NX 2- Person Backpacking Tent. 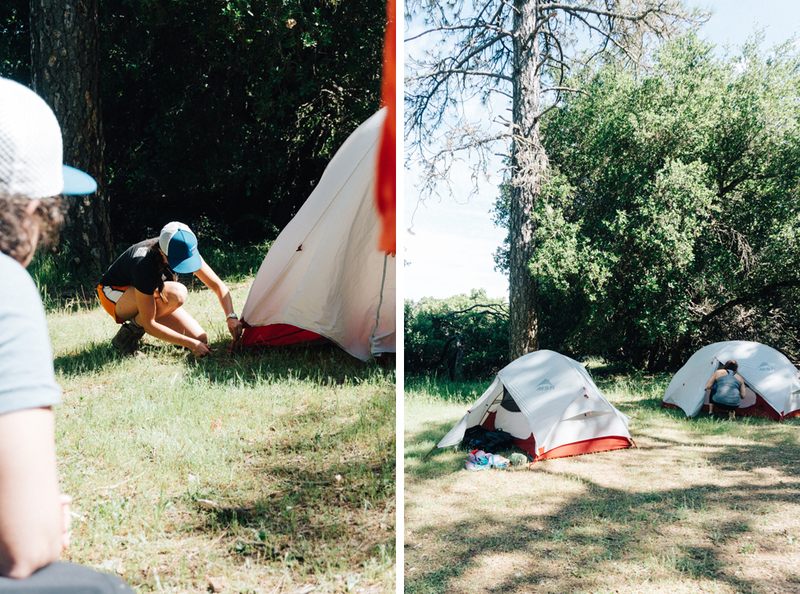 These tents were easy to set up and fit right into our backpacks, which was really great if you’re looking for a tent that’s small, compact, and light to carry. Setting up this tent myself made me feel so empowered. It’s funny how, most of the time, we look at things like cooking on a grill or setting up a campsite, we traditionally view it as a man’s role. Because of this perspective it can be intimidating. After setting up our tents we headed off for a quick hike over to a pond where a few of the ladies jumped in to enjoy a swim before we headed back for happy hour and dinner. The greatest lesson learned: BE OPEN WITH LIFE AND THE EXPERIENCES THAT COME YOUR WAY. You never know who you’ll meet in the adventures that life will take you on. The few moments you spend with them may impact your life in a way you would’ve never imagined or you can impact their’s. And just because you’re a die hard city girl like me, doesn’t mean that a day or two in the woods won’t do your heart and soul the tender love it needs. Be open with life and the experiences that come your way. The few moments you spend with the people you meet may impact your life in a way you would’ve never imagined or you might impact their’s. Many thanks to LUNA Bar for inviting me on this experience. It was an honor to be amongst some amazing women to share my first camping experience with.